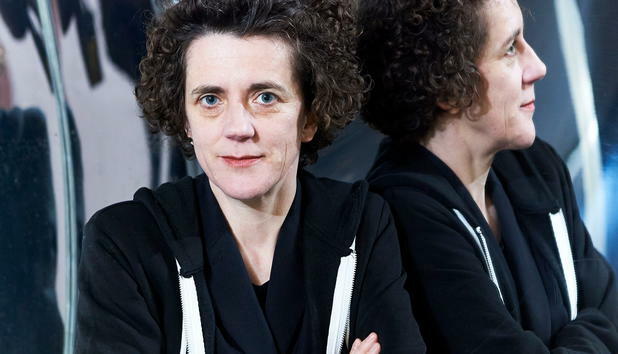 Olga Neuwirth’s “Masaot/Clocks Without Hands” had its New York premiere Saturday night played by Valery Gergiev and the Vienna Philharmonic Orchestra. 2016 has already seen the notable New York debut of Hans Abrahamsen’s Grawemeyer-winning composition, let me tell you, performed by the Cleveland Orchestra last month at Carnegie Hall. Saturday night, the Vienna Philharmonic Orchestra and conductor Valery Gergiev brought another new composition to Carnegie, one that should be considered for the next Grawemeyer prize: Olga Neuwirth’s Masaot/Clocks Without Hands. One of the 125 Commissions Project the hall is funding to honor its current 125th anniversary season—the piece is an engrossing exploration of dreams and memories. The Austrian composer’s work stood out even coming between vintage masterpieces from Mussorgsky and Wagner. The concert began with sunrise, in the gentle rising warmth of the Prelude to Mussorgsky’s opera Khovanshchina. In his orchestration, Shostakovitch set the music with delicacy, and the orchestra’s playing spun into bright, grainy threads. The performance was pictorial and lovely, the warmth of the music-making ablating the morning mist, until only a trace of gold lingered in the air. Masaot, a kaleidoscopic and abstract narrative, begins in similar fashion, with the suspended quiet of morning. But it also begins with history. It’s conception comes out of a powerful dream that Neuwirth had: set alongside the Danube, she dreamt that her grandfather, whom she never knew, played her a series of songs on a tape recorder that told the story of his life and what he saw as his place outside society. By stitching together fragments of songs and other music, Neuwirth reflects personal experience as well as her place in the rippling stream of classical music. Masaot starts with long string harmonics patterned after the opening of Mahler’s First Symphony, the first image in a mise-en-abîme reflecting through the past and future of classical music. The piece is a dazzling riot of sound stitched together by the abstracted flow of the Danube, a blend of Ligeti’s “cloud” style with the aural jump-cuts of Ives or John Zorn. Neuwirth’s voice combines the reveries of the former with the agility of the latter, and she has a sense of both wit and personal tenderness that communicates on a direct and intuitive level. Masaot touches something deep in the mind and the heart. There is a pendulum pulse running underneath everything, and stretches where the orchestra takes on the mechanical characteristics of the metronomes, which are heard by themselves in two interludes. And there are wonderful songs; waltzes, marches, fanfares, rollicking shtetl music, chiming clocks, Mahlerian cowbells. The VPO played with great energy, and each section seemed to relish their chance to rise out of the overall textures. For the second half, the orchestra played selections from Götterdämmerung; “Dawn and Siegfried’s Rhine Journey,” “Siegfried’s Death and Funeral Music,” and the opera’s final Immolation scene, with soprano Heidi Melton singing Bünnhilde. Wagner’s sunrise is heavier than Mussorgsky’s and Gergiev’s handling of it was massive—the sun as a glowing anvil. The performance veered over into mannerism, and the playing had several static moments. The strength of Gergiev’s deliberate approach came out in the grand satisfaction of the fanfare that announces the fullness of day. That deliberateness was also ideal for the intense drama of the Funeral Music. Rather than a rush of notes, the opening viola phrase was marked out, giving the music a somber ceremony. Cracking sounds of low brass and bass together were spine-tingling. Melton, who was outstanding singing Brünnhilde alongside Eric Owen’s Wotan with the New York Philharmonic in January, was superb again. She sang with a ringing, vibrant tone, and a way of phrasing that was natural and ideal. Her characterization was full of human, rather than grandiose, dignity. The orchestra’s accompaniment was effortlessly driving, with a lush sound. The quality of the brass in the VPO is notable, and their sound was particularly warm and rich. The final chord hung in the air gloriously.